The Admission to the +2 Junior Colleges in Odisha Starts from May 23rd . Both Online and Offline Admission are available for the Students seeking seats in Junior Colleges in Odisha. The Candidates seeking to get admission into the +2 Colleges in Odisha have to apply online at the official website i.e www.dheodisha.gov.in. 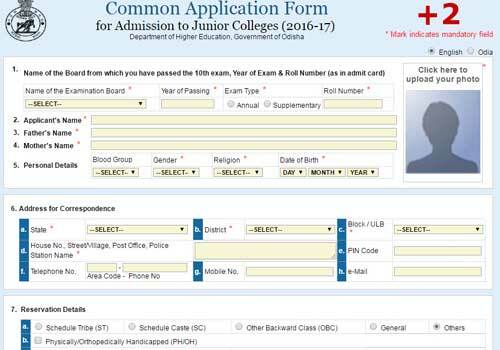 The Last Date for the Online Application into the Plus 2 Junior Colleges in Odisha is on June 6th 2016, while for the Offline Application is June 7th. As Per the Govt. notification the +2 College Admission 1st Selection Merit List will be Declared on June 13th 2016 followed by the admissions of the first selection applicants from June 16 to June 21st. The 2nd List of Selected Candidates will be declared on June 25th followed by Admission dates from June 27 to June 29th. The 3rd Selection Merit List of Candidates will be announced on July 4th followed by the Admission dates on July 8 and July 9th.